The City of Cape Town's Roadblock Unit targets drunk driving, car thieves and illegal racers, but the City's Alderman JP Smith explains there'll be more officers on the roads and a focus on cellphone impounding. Cape Town - Earlier in January, Wheels24 reported that Capetonians could expect more roadblocks with the launch of a dedicated unit aimed at stopping drunk drivers, car thieves and illegal street racers. The unit will be responsible for executing roadblocks on a permanent basis in the city. 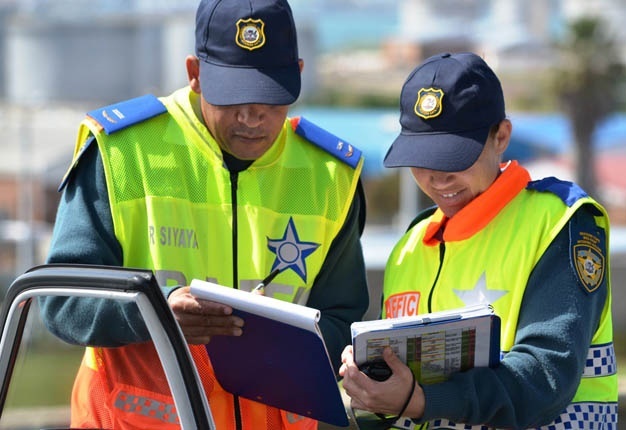 The City of Cape Town's Safety and Security Directorate has created an integrated Roadblock Unit, comprising 18 members from various departments including traffic service, metro Police, law enforcement and the Western Cape traffic department. The City’s Mayoral Committee Member for Safety and Security, Alderman JP Smith spoke to Wheels24 and explains how the integrated Metro Police Roadblock Unit came about. Smith says: "The K78 Roadblock unit is something that stems from a frustration and a concern that we had taken our foot off the pedal from an important part of policing work. "As a policing maxim that says he who controls the roads, controls crime. If I play my mind back to eight or nine years, we were doing quite a lot of roadblocks but over time the scope of demand on the city in terms of what we're expected to do. Now we have a gang and drug task team, and we're doing a lot of stuff, the scope of the demand on the service has gotten bigger and bigger, demanding more crime prevention. "One of the things that suffered was the number of roadblocks we were doing, we saw that reflected two New Years' in a row we didn't have a roadblock. It's a valuable tool and we deploying this in some unlikely locations where people are not used to seeing roadblocks." Smith says the operation is going very well and statistics are very impressive. "We want to get the public back to the point of before you have that second drink you're thinking 'Hmm, the odds of me getting caught is too high, or I'll call a cab or get a friend to drive me." Yoland Bouwer: Bring it on!! Where can I report drunk driving? Every Friday we have a few individuals drinking at the company bar and then hit the road for some destruction. Someone is going to get hurt by this sort of behaviour! Jasmine Gerrard: What about roadblocks to check roadworthy vehicles? I am on the road at 5am every morning and travel from 14th Avenue to London Road (on the N1 in Gauteng). The number of vehicles on this stretch of the highway with faulty lights is quite horrific. Cars, delivery vans and huge trucks, you name them, with either no lights at all or faulty at the back, and/or only one head light. And specially when the vehicle is of a gray colour. You just do not see them unless you are almost on top of them. They are a real danger to other motorists. Shemara Kroukamp: I’m all for the roadblocks if it is going to control how people respect the rules of the road, but should this not already be part and parcel of the Metro/Traffic Department tasks? It would be an awesome day when a cop is sitting at a robot and pulling off each an everyone who goes through a red light. There is not enough monitoring, only a camera and the guys are sleeping in the car in the shade. Thamen Mahabeer: It would be great and transparent to the public if the authorities would give statistics as to the nature of the fines. My opinion is that majority are for speeding. I don't condone speeding but this deterrent is not stopping the carnage on our roads and is in my opinion only generating income which may not be used to make our roads safer. To back my opinion why are private companies and equipment used in speed enforcement? Surely traffic authorities can handle and pay for the equipment? We have a culture that needs to be restrained and taught correct road rules and behaviour from onset of obtaining a learners. Obtaining a licence does not mean you are equipped to drive. Over and above this how are the public to know that the cameras used to "trap" are calibrated correctly and are manned by traffic officials since that are provided to traffic authorities by private companies who may have a stake in the revenue of the fines. We all aware unscrupulous methods are used to trap. If they are to be effective they should be placed in critical areas to prevent carnage, clearly marked to ensure motorists slow down and if you are caught speeding then the fines should be severe. It would be great if some journalist did some proper investigation into this matter to inform public what actually happens behind the scenes at traffic departments.